OUR STORY I, Abhimayu Singh Rathore, am an Integrative Nutrition Health Coach from Institute of Integrative Nutrition, New York. I primarily brought kefir to India as I didn't find a suitable probiotic for my clients. As and when my clients started noticing significant and considerable improvements, I decided I would make this elixir available and accessible to all. I strongly believe in preventive healthcare. That's when, three years ago, I took the plunge to kick my corporate bucket and move back to India. Kefir is enjoyed as a fermented milk and non-milk based product by many different cultures worldwide... particularly in Europe and Asia. We sourced our kefir grains from Europe when we started our journey over two years ago. After tons of permutations and combinations of temperature, pressure, quantity, we have finally succeeded in making kefir in varying Indian temperatures, round the year. We have five different variants: SPRING-WATER KEFIR, COCONUT-WATER KEFIR, CINNAMON-COCONUT WATER KEFIR, A2-ORGANIC MILK KEFIR and ORGANIC GOAT-MILK KEFIR. 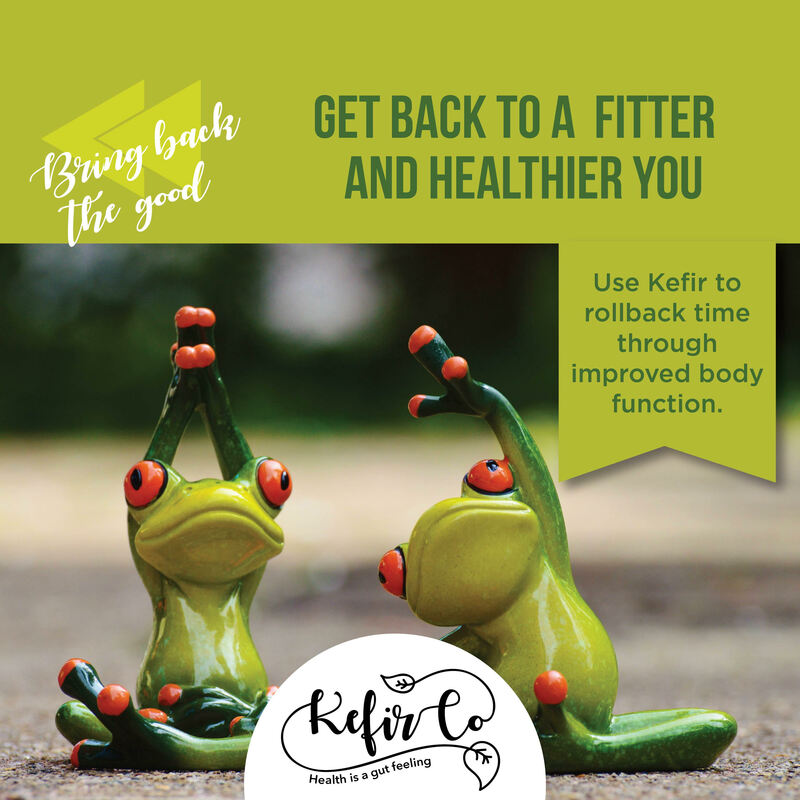 Our kefir grains are our closest pet and we create each batch with a lot of love and positive energy, and utmost care to ensure the perfect environment for the kefir to develop.